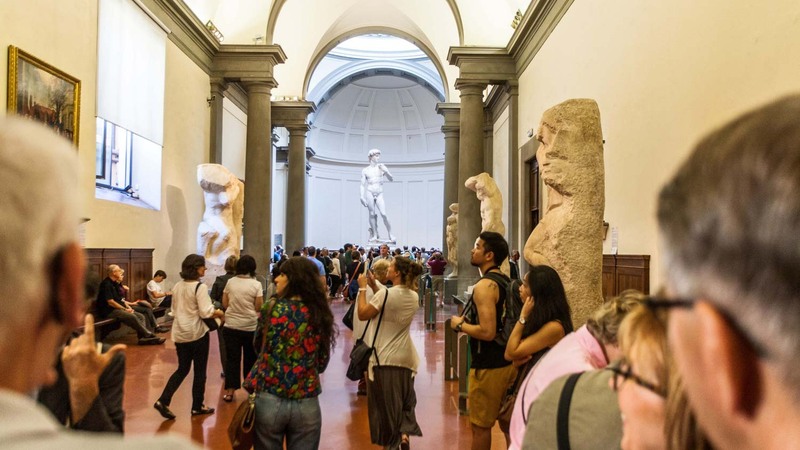 Michelangelo's masterpiece is one of the world's most recognizable sculptures. 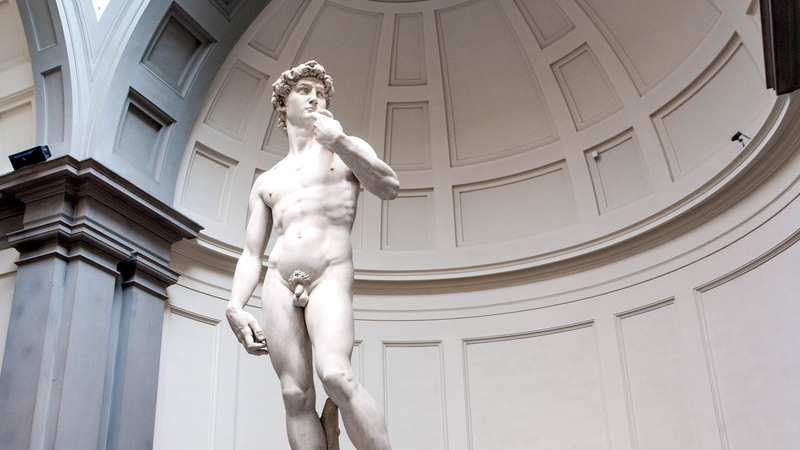 Located at Florence's Galleria dell'Accademia di Firenze, tours of the museum reveal a defining moment in Renaissance art – but there's a fascinating history behind David too! Originally intended to stand among other stone sculptures on the cathedral's roof, the 6-ton statue was too heavy to raise. It was placed outside the Palazzo Vecchio instead. The sculpture was started by Agostino di Duccio in 1463, before work briefly continued under a soon-fired Antonio Rossellino. Michelangelo was employed to finish the work in 1501. 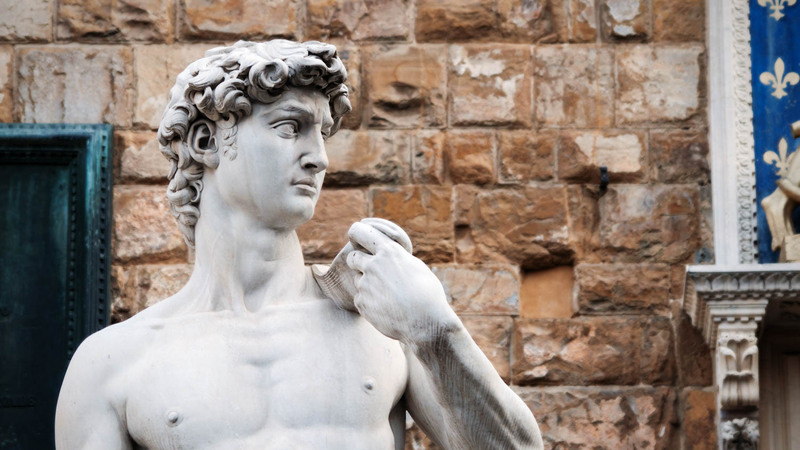 David's confident stare is directed towards Firenze's strongest rival -- Rome. The city was one of many neighboring powers that threatened the Republic of Florence's sovereignity. 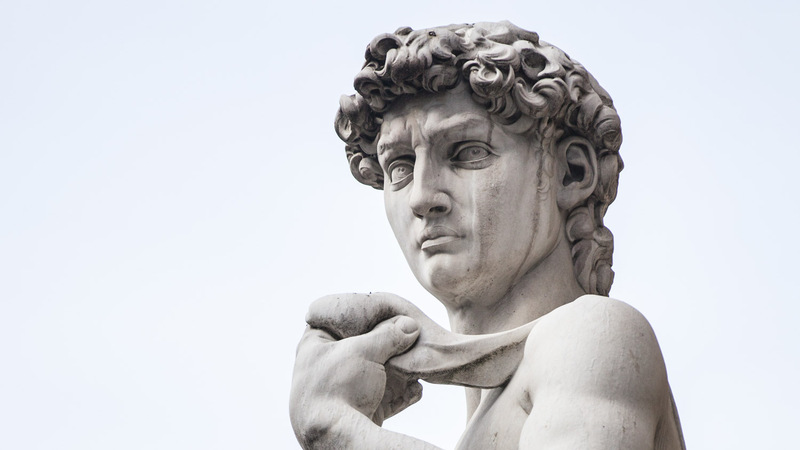 David was wrapped in cloth and entombed in brick as part of Italian efforts to protect their historic artworks from bomb damage. Michelangelo's Moses received the same treatment! In 1991 Piero Cannata attacked the statue with a hammer he'd concealed under his jacket, breaking the second toe of the left foot. Police described the 47-year-old as "deranged." The Galleria dell'Accademia is open between 8:15AM and 6:50PM from Tuesday to Sunday. The Galleria dell'Accademia can be easily reached by many different bus routes to the stops Ss. Annunziata - Istituto Degli Innocent, Piazza di San Marco, San Marco Rettorato, or Cavour. Michelangelo's David is located in the museum's Hall of the Prisoners. Around 15 Euros. Price varies whether you book online or purchase at the ticket office. Not necessarily, but consider this... is there anything better in the world than an enthusiastic Italian tour guide? Florence is rather walkable so you easily go there by foot. Numerous bus lines also stop in front of the Galleria. Make sure to pre-book your tickets! 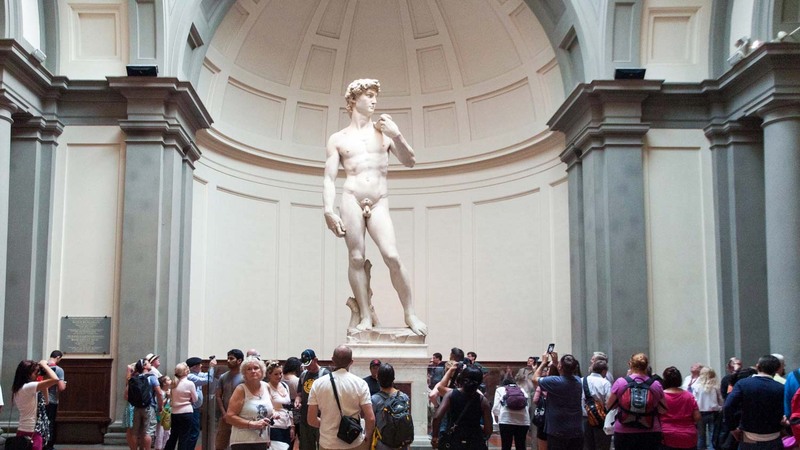 The David is an especially popular attraction. Perfect. No time wasted standing in a queue. Florence being Florence has so much to see and do, however the result could be you spend so much time queuing. It was great to skip the line and the extra cost is well worth it. Time is money. We had the pleasure of spending almost a couple of hours in the good company of Lori our guide. She was engaged, passionate, a brilliant story teller and knew her stuff. She had a way of building up to the moment we were going to see the statue of David - that made the whole experience feel so much more meaningful, than if we'd just visited the statue ourself. We got all the background stories, with threads to other parts of Florence and Italy - we were taken on a journey and we did not think about anything but that, for the entire tour. We only had one weekend in Florence - and we wouldn't have been without this great tour. Thank you so much Lori - you're one of a kind!